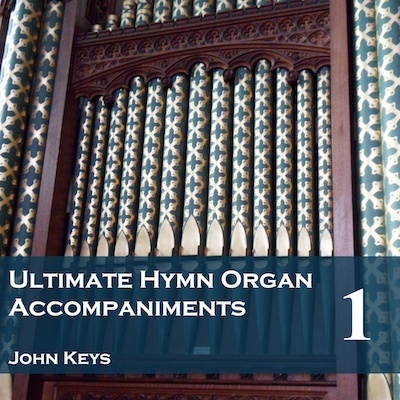 Forty-seven superb albums of organ accompaniments for hymns and worship songs. Individual CDs are available from this page, as are tracks or albums to download. Alternatively, you can buy the entire set as MP3s on a single disc or as 47 audio CDs. Scroll further down this page to see download buttons for iTunes and Amazon - you can also hear samples of the tracks by clicking on these buttons. Click through to the Ultimate Set page for details of buying all the tracks on a single disc. If you’d like the full set, please click through to the Ultimate Set page. Individual CDs can be bought online here. Alternatively, you can drop us an email at info@cul.co.uk with your order requirements and we will send back an invoice with the bank details to make a bank transfer, or send a cheque for the appropriate amount made out to Creativity Unleashed Limited to Creativity Unleashed Limited, 31 Eastbury Way, Swindon SN25 2EL, or buy using a card over the phone on 0117-230-7123 (Cheques and purchases over the phone in pounds sterling drawn on UK bank accounts only). Copies of the hymn book to accompany the recording are available in full music (Amazon.co.uk or Amazon.com), melody (Amazon.co.uk or Amazon.com) and words-only (Amazon.co.uk or Amazon.com) versions. If you want a bulk order, it’s best to go to Hymns Ancient and Modern Ltd. direct. * On Volume 47, an asterisk at the end of the line indicates that in each case a full-verse introduction is played, followed by one more full verse. This is to make it easier when the verse is to be sung multiple times.